Last night marked the beginning of a new professional football league, the Alliance of American Football, or the AAF. However, the new league will be slightly different from the NFL that we all know and love, starting with the different rules between the two leagues. Though the AAF will generally follow the rules set in place by the NFL, there will be a few notable exceptions. Let's identify four big ones. When we think of a football, all the pre-game hype leads up to the opening kickoff. The teams are fired up and ready to go, as fans across the world wait in anticipation for the ball to hit the kickers foot, and mark the start of the game. Well, in the AAF, there will be no kickoffs. At all. There will still be a coin toss, with the winner deciding whether to receive or defer, but the team that receives the ball will simply send out its offense to start from their own 25-yard line. In the NFL, the standard overtime procedure starts with a coin toss, and then a kickoff. The team to then score a TD first will win the game, but if a FG is scored first, then the game becomes completely open in what is then essentially a game of sudden death. However, in the AAF, teams will start at the opposing 10-yard line, and will have four downs to make it into the endzone. Should they make it in for the score, the team must also go for a two-point conversion. This one is quite interesting, and will definitely impact how the AAF will be different from the NFL, especially on the defensive side of the ball. The AAF has implemented a rule that says defenses will only be able to rush a maximum of five players on blitzes, in an effort to promote more offense. But now with the ability to only rush five players, defenses will have to scheme differently and play more conservatively in the secondary. This one speaks for itself. 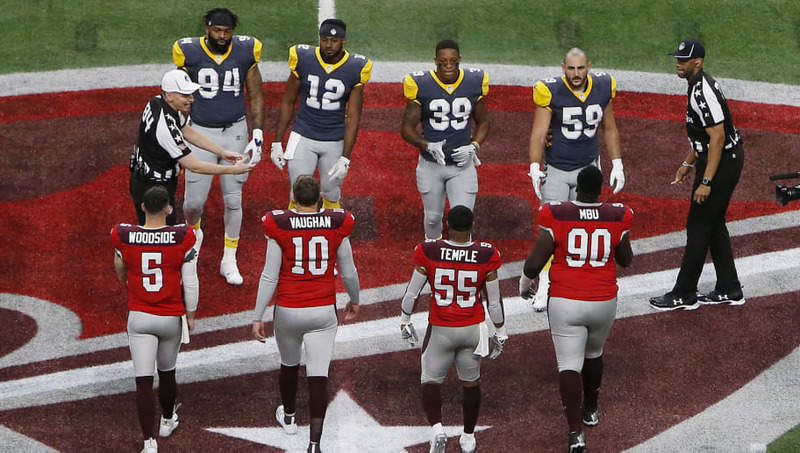 The AAF will restrict teams to a 30-second play clock, rather than the 35-second clock that teams receive in the NFL. This could cause issues for teams, especially early in the season as players adapt to a new system, and take time to adjust.